Abraham Teitelbaum was born on March 1, 1889 in Warsaw, Poland. Inspired to enter the theater by seeing actors rehearsing at his parents’ restaurant, he became a young follower of the Warsaw Yiddish theater. 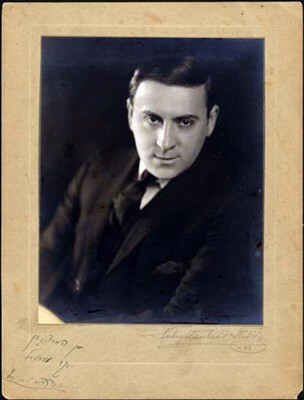 Teitelbaum eventually joined choral and dramatic troupes and got his first theatrical job as a prompter in 1907. He got his first break on the stage the following year. Michael Goldstein, Morris Strassberg and Abraham Teitelbaum in Der nes in geto (translated as Miracle of the Warsaw Ghetto), 1944. 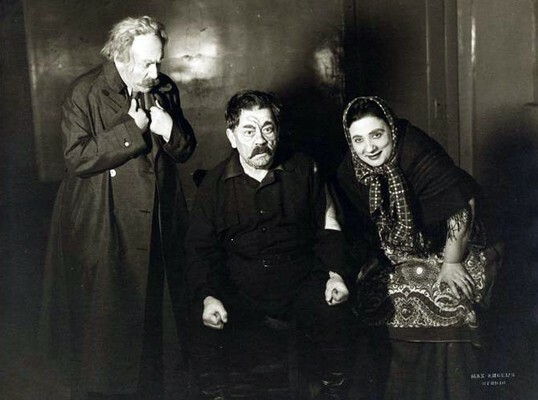 Teitelbaum along with Berta Gersten and Isidore Cashier in Mir veln lebn (We Will Live), 1944. 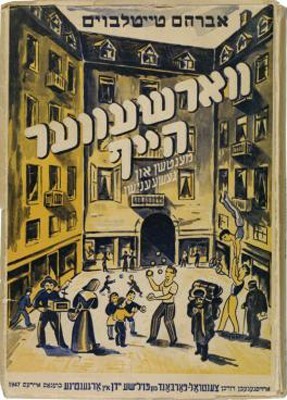 Teitelbaum’s memoir Varshever heyf (Warsaw Courtyards), published in Buenos Aires in 1947. Over the course of the next few years, he joined a number of other troupes and with them traveled to Paris, London, and Buenos Aires. 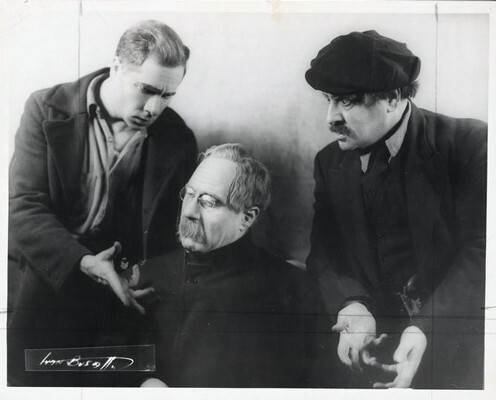 Right after World War I, Teitelbaum served as the director of the Peretz Society Drama studio before becoming the theatrical director of the Yiddish dramatic society of Minsk. In 1919 he moved to the U.S and joined a troupe in Chicago where he acted and directed for several seasons. Teitelbaum then lived and worked in New York performing with the Yiddish Art Theater in New York and teaching at the radical Frayhayt Dramatic Studio (the precursor to the Artef). Teitelbaum returned to Poland for a few years in the late 1920s and returned to the U.S in 1930. After his return, he began his film career. He was featured in צוויי טעכטער (Two Sisters) starring Jennie Goldstein, and Jacob Mestel’s דער װאַנדערנער ייִד (The Wandering Jew). Teitelbaum also was active as a theater critic and published books as well as many articles, assessments, and previews in Yiddish newspapers around the world. Abraham Teitelbaum died on October 16, 1947 at the age of 58.